Fero Iris is another affordable 4G phone from Fero a bit similar to the Fero Zoom. Its outstanding feature is the built-in Iris scanner for authentication and phone unlocking. 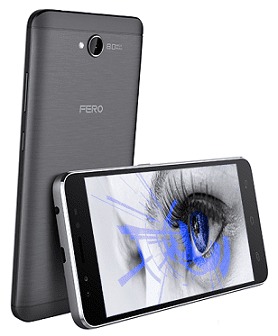 Fero Iris features a 5-inch screen with an 8MP rear camera and a 2MP front camera. Fero Iris sports a 5-inch IPS display with 720 x 1280 pixels resolution. It features a largely metallic body available in gold and space grey. Fero Iris has an 8 megapixels camera on the back. In front, you will find the 2 megapixels camera for taking selfies and the Iris scanner for fast and convenient phone unlocking and transaction authentication. Fero Iris runs Android 6.0 (Marshmallow) on a 1.3GHz quad-core processor with 1GB RAM. The Android phone sports 8GB built-in storage with support for up to 32GB microSD memory card. Fero Iris supports Wi-Fi, Bluetooth 4.0, and microUSB port. Fero Iris offers 4G LTE on MTN, Etisalat, NTel, Smile, and InterC in Nigeria. It also supports LTE on Safaricom and MTN in Kenya and Ghana respectively. Fero Iris is available in Nigeria, Ghana, and Kenya. You can buy the affordable LTE phone at leading online stores in the countries. Fero Iris Price in Nigeria ranges from 40,000 Naira to 52,000 Naira depending on your location in Nigeria. 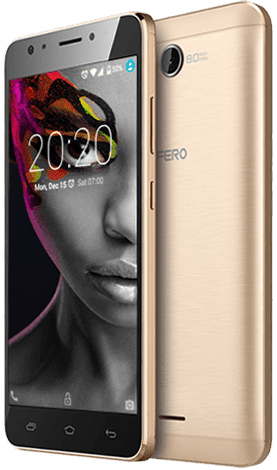 The Fero Iris Price in Kenya starts at around 7,999 KSh.